Hope you've been able to reserect your 4.2 stuff. Extending the drift net on 4.2 liter information. 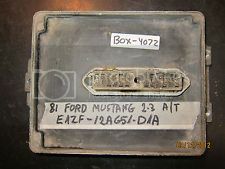 1. some F100's came with the 4.2 and a RUG SROD 4 speed stick shift, since for that year, due to the Chicken Tax and AMC's request for lenancy on emissions, the emissions pertaining to cars also applied only to trucks below certain Gross Vehicle weights. All I'm saying is there are lots of layed up trucks and cars that people may think are 5.0's, but are actually 4.2's. When they find out, they are just left to languish in a garage or outside somewhere. Finding parts is all about asking a barage of the Right Questions. So there were certainly a number of MCU equiped CA cars. 2. X shells that year were the last of the lead spring,Mustang/Falcon suspension cars. The um, "ball tearring" 102 mph, 19.5 second quarter mile 4.2 1980 Granada and Monarch were a whooping 10 mph faster, and 1.4 seonds quicker over the 1/4 mile than the SROD 4.1 six. The 1980 Lincoln Versailles got the 4.2L too. 3. On the 1980 small Foxes, it saved 1.5 mpg over the 1979 CAFE figures, IIRC, 26 mpg highway verses 24.5 mpg for the 79 5.0 three speed auto. It was also automatic only, but the F trucks weren't. The loss in cfm levels is 145 cfm, down from the normal 160-165 cfm, both at .450 lift at 28"H20. 5. Most of the loss is in valve lift and duration reduction, with the pathetic 244 degree at lash cam...it was designed with a 256 degree cam in 1962 even as a 221 or 260, so its just had the candel wick snuffed. The cam change is easy. The heads certainly doesn't stop you getting 160 hp out of it, though. Some 310 degree duration, 470 thou lift 271 hp Gross 4 inch bore 289's ran valves even smaller than the 255, for example, the 1963 Hi Performance 289's getting C3OE casting heads with 49.2-cc chambers and 1.67 inch intake and 1.39 inch exhaust valves. 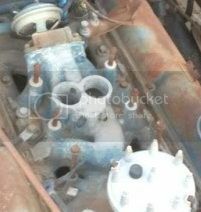 Note that 1.78/1.45 was the stock 302 valve size for early years, the bigger 351 1.84" valve size of the first 1968 4V 302's didn't stay around for long. 6. 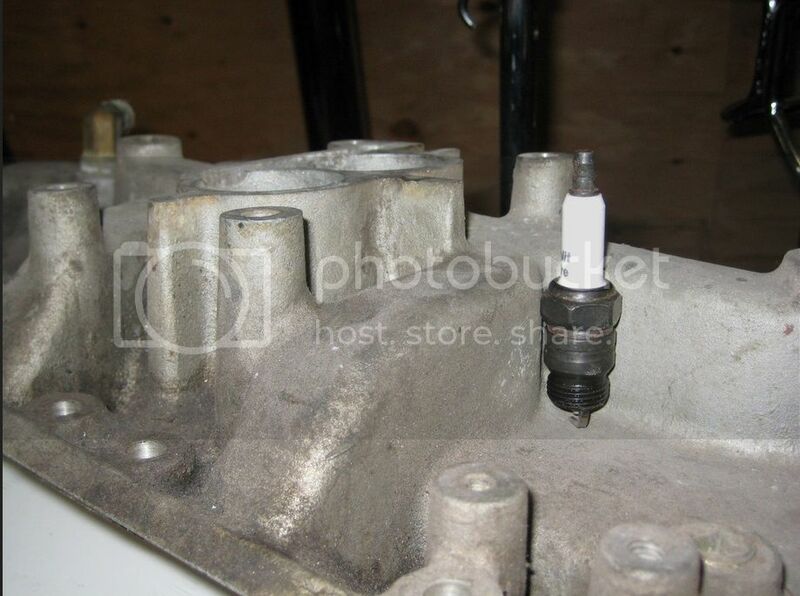 Since there are separte EGR spacers to suit, there are gasket and parts ID's and parts interchanges. Blainer set me straight on the square vs round or oval gaskets. 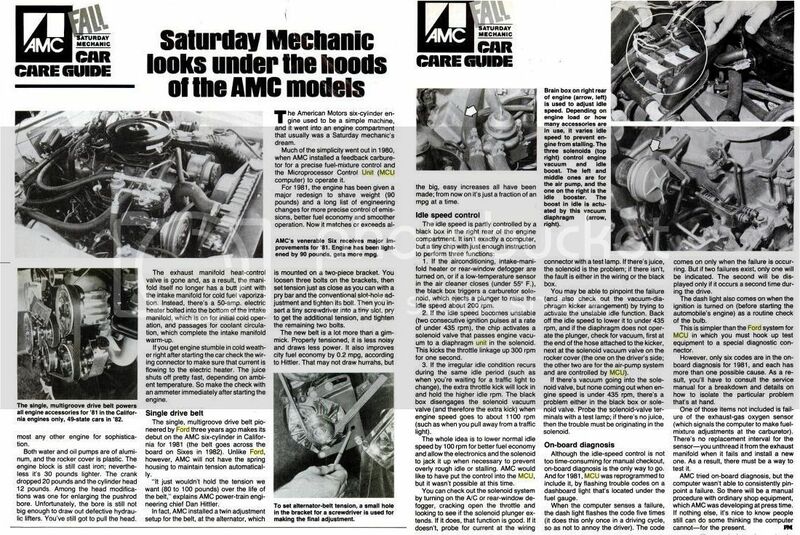 Plenty of info from the Fox, X-shell Panther and F100 owners who got these engines stock for a year or two. I did a little research. Hope this helps identify the 4.2 engine option for those of us who don't want to be caught out by this engine. 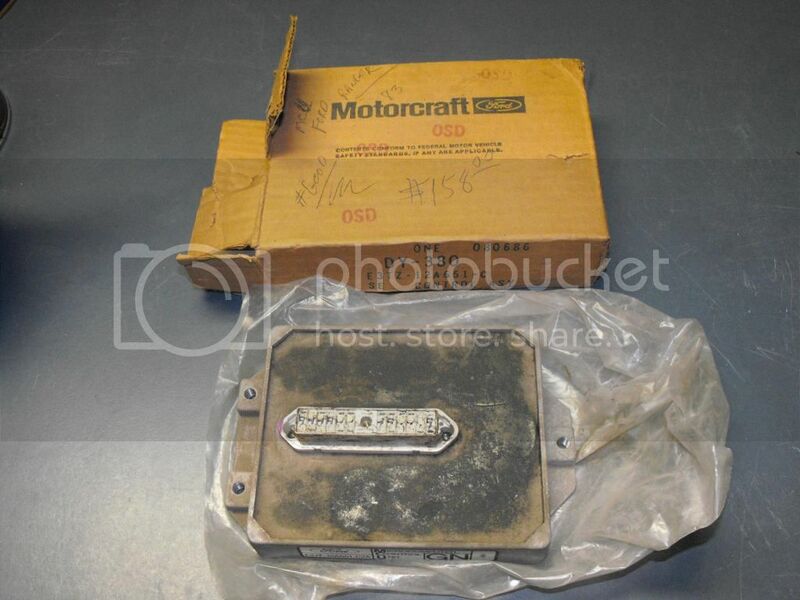 Its certainly a aberation that tricks a lot of people in the wrecking yard and ebay. 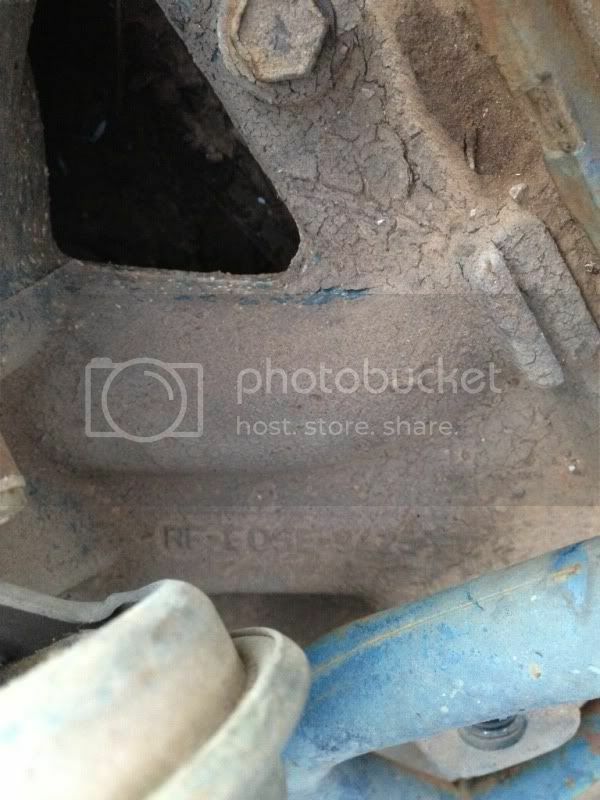 Use of non stock oval port gaskets on a stock intake and head 255/ 4.2 liter is an issue as the port mismatch is unfavourable, with air fuel mix slamming into an unsealed annular zone. 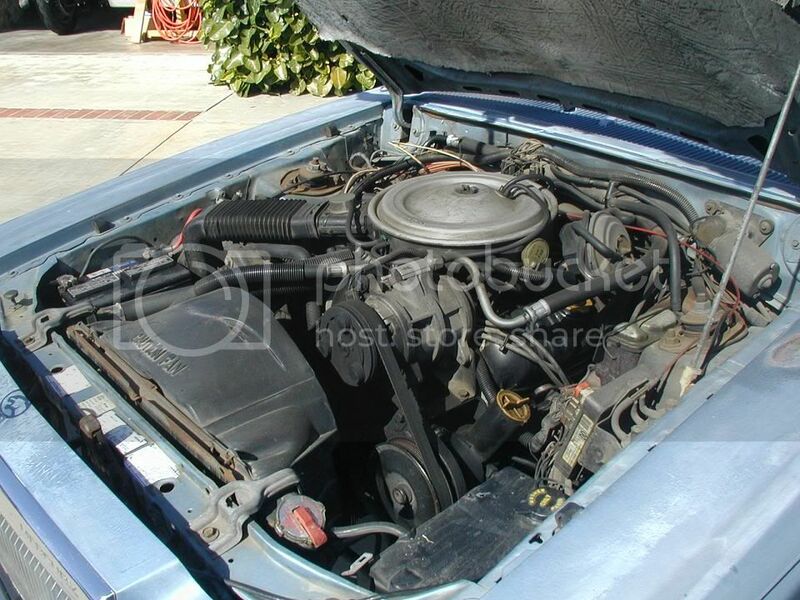 Ever other Windsor V8 from 1962 to 2001 has square ports, not oval. 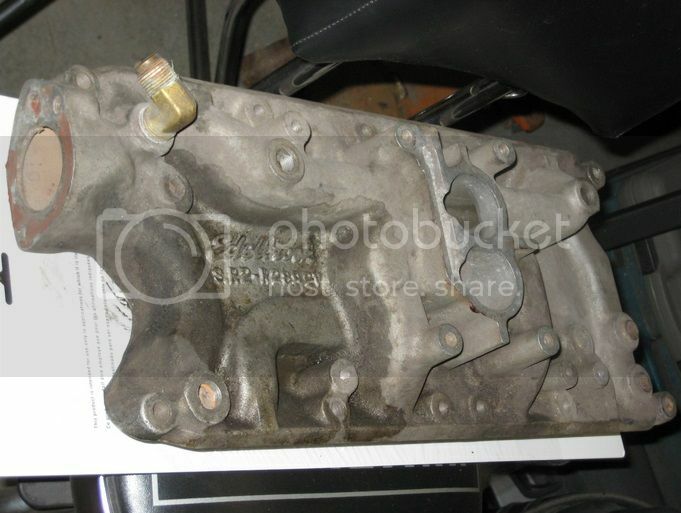 The first 1980 4.2 ran a RF EOSE-9425 casting intake, which were weird as bat poo, with windowed and high voids intake with all the alloy taken out. Even the carb base was stand alone stud and boss. 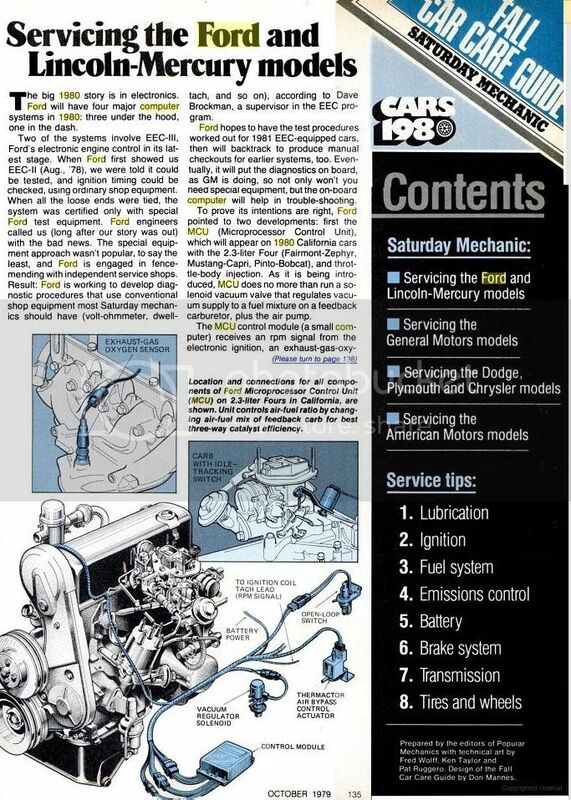 It got a revised part in mid 1981, but homer302's 1982 intake should still be similar. The other 5.0's are indeed square. In fact, everything 302 from the first J code 4-BBL of 1968 C8ZE-9425-A to the last 1984 4-BBL RF E4 ZE 9425-GA, is all square. Same with 2-bbl intakes for all years. The 255 was the undisputed odd ball, smaller port wise then any 221-260-289 as well. 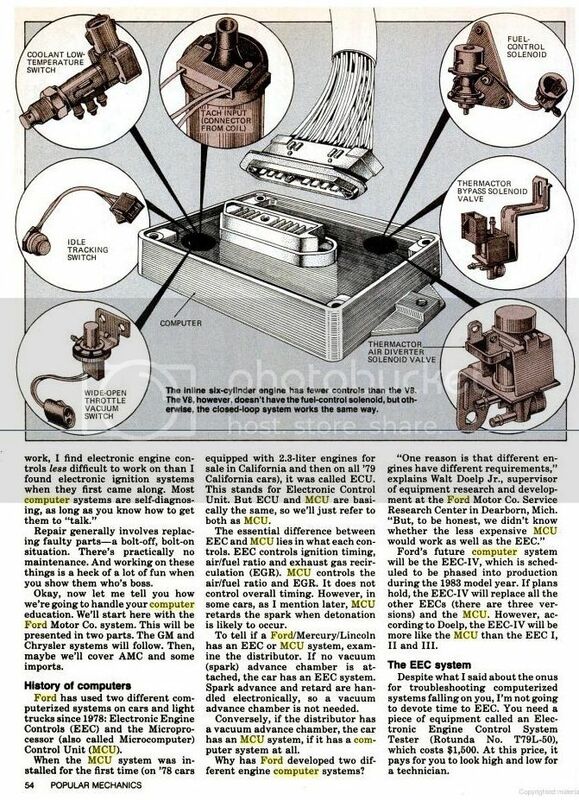 Its sole purpose was to add 1.5 miles per gallon of Highway fuel economy to the 1980 CAFE fuel figures compared to the 1979 5.0. It did it not just by capacity reduction from a 3.68" bore, but by reducing everything they economically could in the engine. 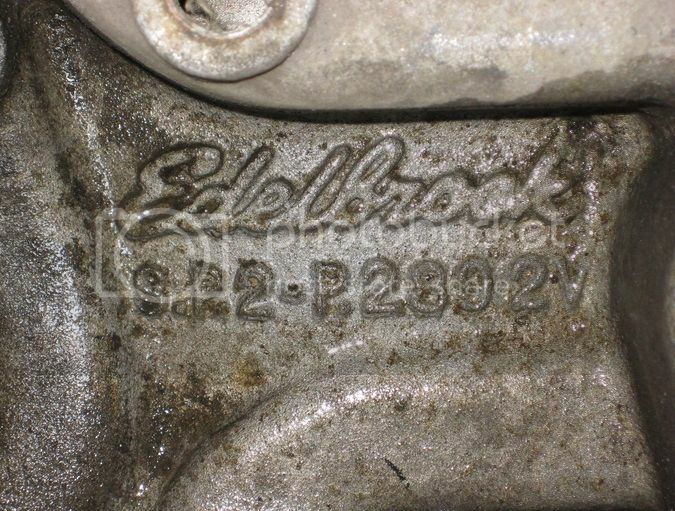 As for the Edelbrock SP2P 289 4bbl intake #3355 used by Car and Driver in the 160 hp 132 mph project Capri, it was common, but you'll only find 2-bbl 289 versions on ebay. 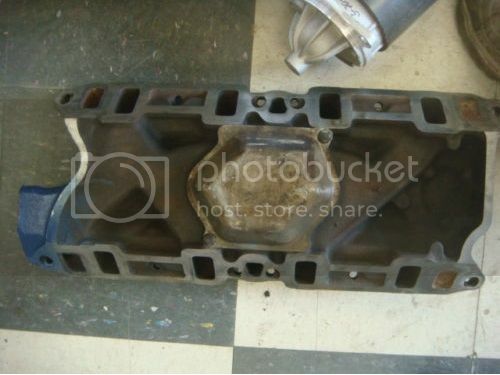 A 4V HO intake would fit if the porting was reworked, either at the heads, or in the intake by Devocn/JB Weld or Tig welding the curves at the gasket face. 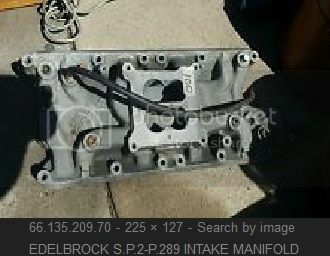 Here's the reasonably common Edelbrock SP2P 289 2bbl version. 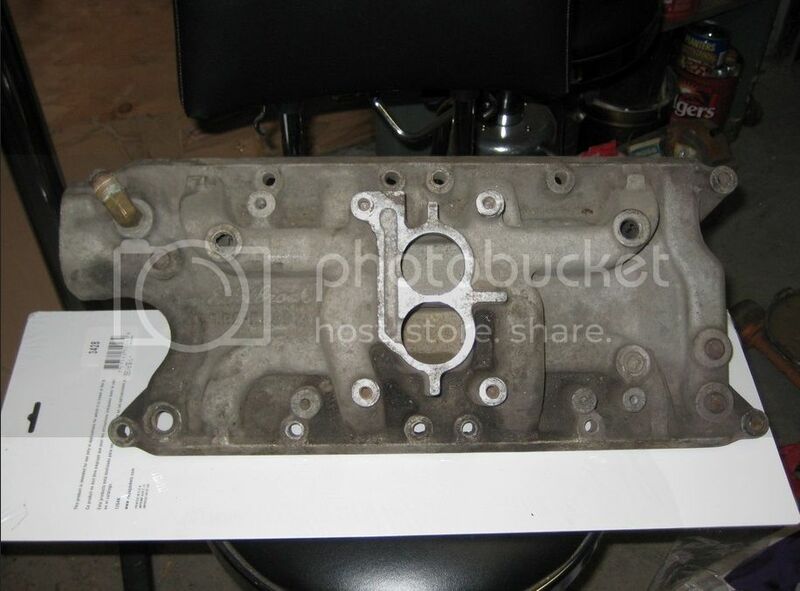 That intake came out well before the 255, and it lookes like Edelbrock used the same reduced stud and throttle shaft casting method that Ford and AMC used with some of the early 4350 series Autolite 4-bbls to mount the carb. Last edited by xctasy; 10-19-2016 at 05:26 PM. I just PM'd you to see if you've been able to win this battle. 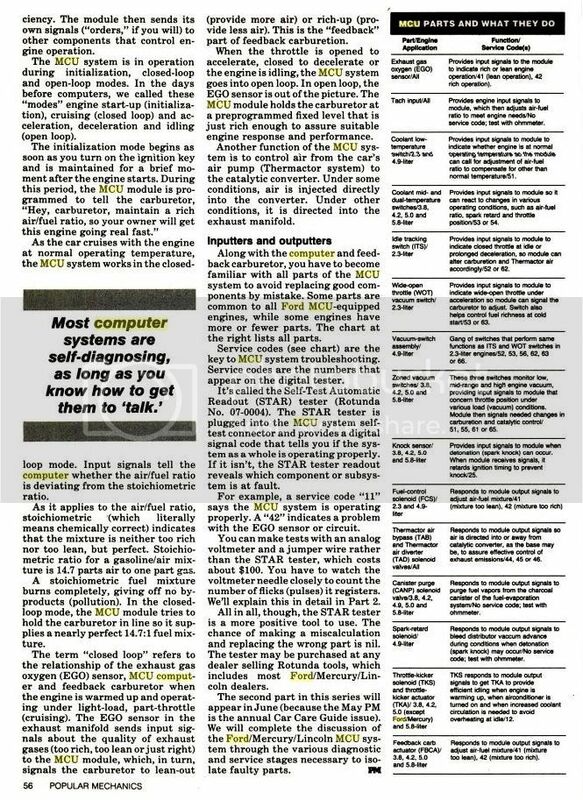 I noted to myslef that for a few years, the 3.8 Essex V6 computer ran Duraspark and lookes like it would cope with an 81 if the TPS signal wa right. 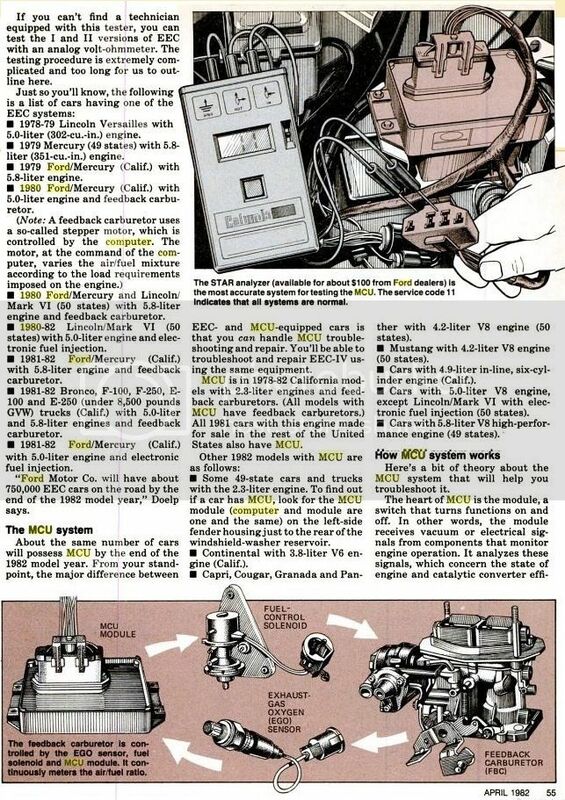 V6 and V8 MCU's had the same fault codes. 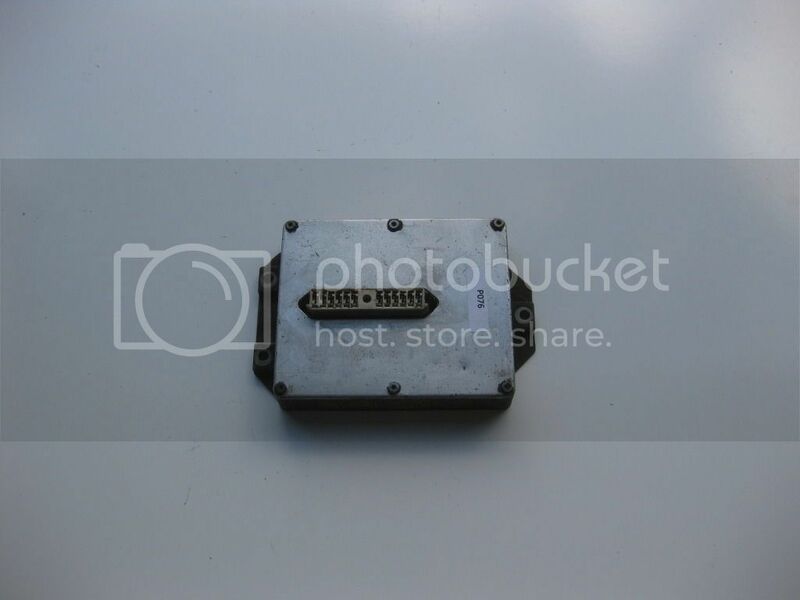 You can see what shape and size the ECU connector is. Last edited by xctasy; 07-18-2018 at 06:33 PM. 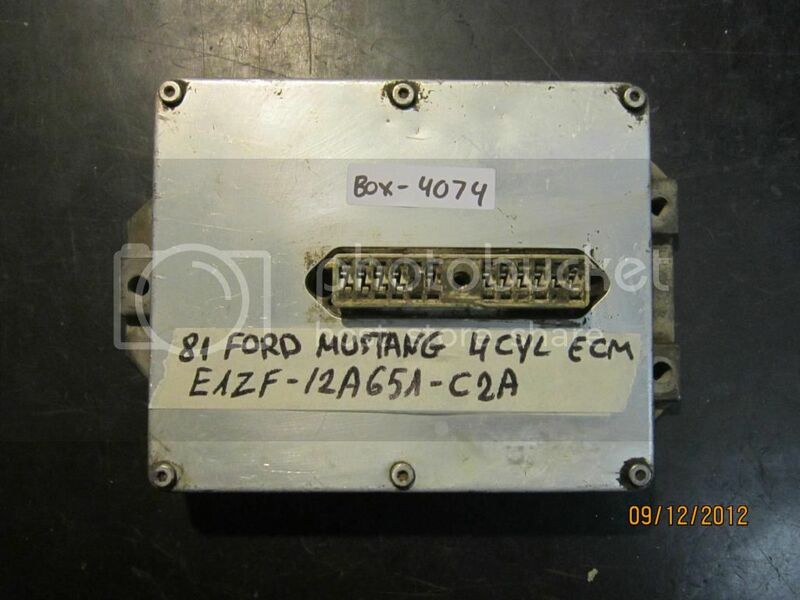 Deleted, but the Ford MCU is a 24 pin plug to a PLC logic circuit with some self checking codes. 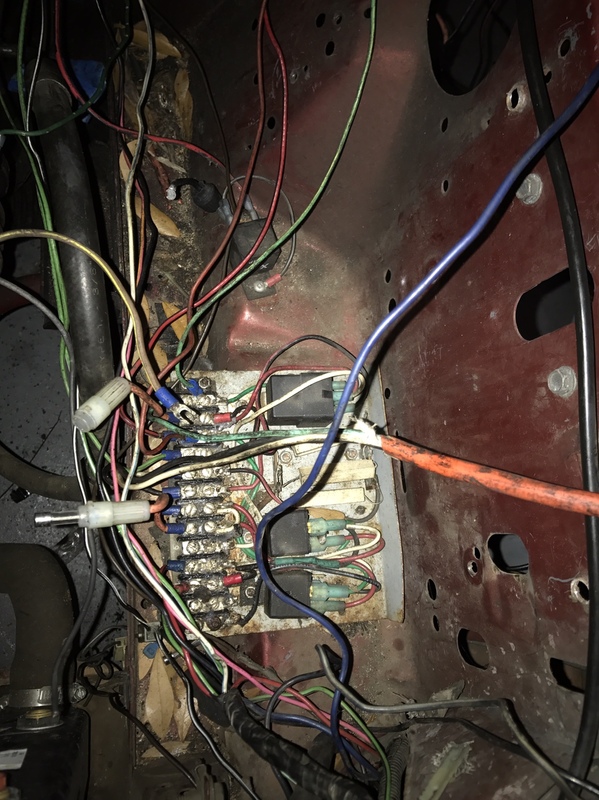 A 24 to maybee 28 pin logic circuit can be build using block connectors, and relays with resistors or the five adjustable Soleniods Ford and Jeep use. 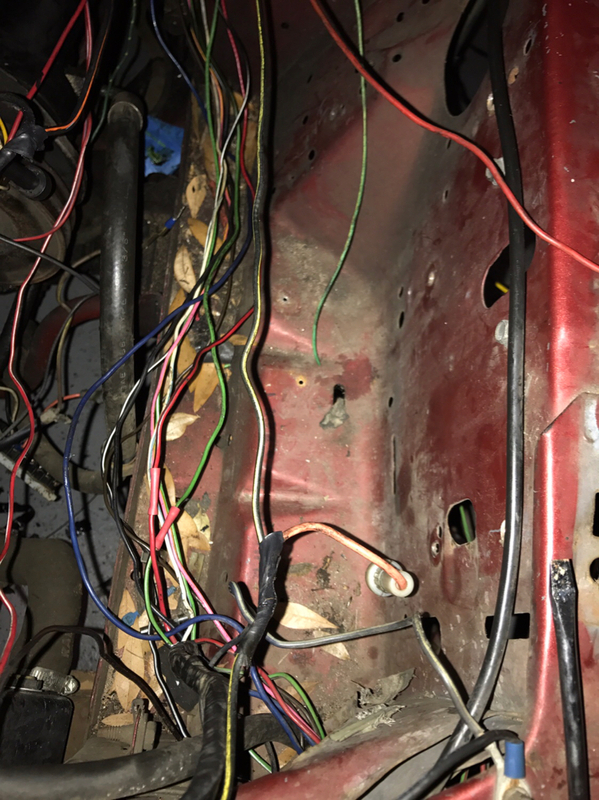 On the earlier Turbo Carb 2.3's, very much like the MCU 1980-1982 in line Six 258 AMC Jeeps, everything setting wise was done by Null knobs from 5 catwalk mounted Solenoids. 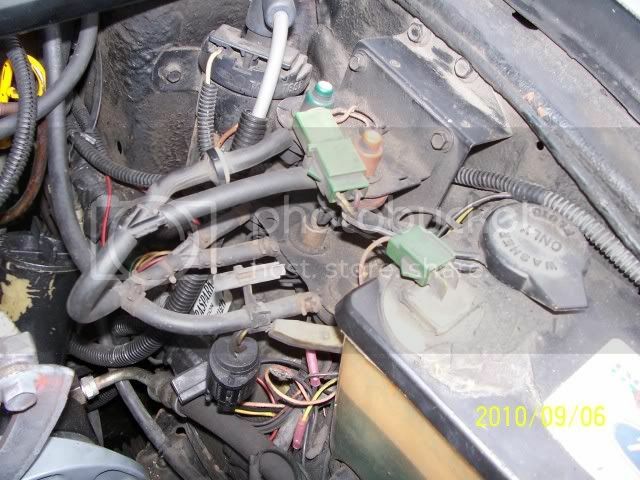 As far is i can figure, control assy pictured controls timing, red engine light,flasher and buzzer, green turbo light. The dash lights are triggered by pre-set boost values sensed by the manifold pressure switches thru vacuum connections. 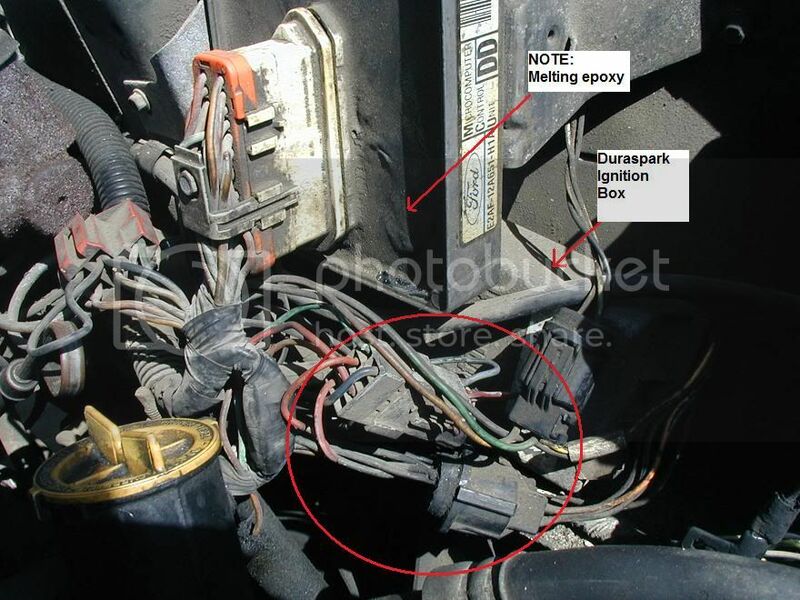 bottom pair for ignition timing control. Each pair consists of one high and one low limit switch. Last edited by xctasy; 04-06-2019 at 07:51 PM.